forgotten the password or you wish to clear the password you need to boot off the recovery disk that should have been created. Setup a password if requested. After clicking on setup you need to click Create Password to continue. Create a password and add a password hint (strongly recommended). 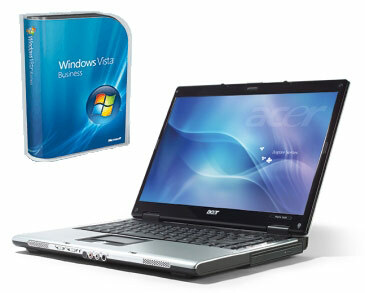 You now have the option of restoring from a previous Windows Vista™ backup or you can start the Acer recovery process. The recovery is started by clicking Restore at the bottom of the window. Further types of recovery are now presented. Choose Restore system to factory default if you wish to run the hard drive based recovery and return your Acer computer back to it's original factory default state. Note: The factory default recovery will wipe ALL data from the computer so ensure important data has been saved to disk before proceeding. Enter the password that was previously set. Confirm you wish to run the recovery process.